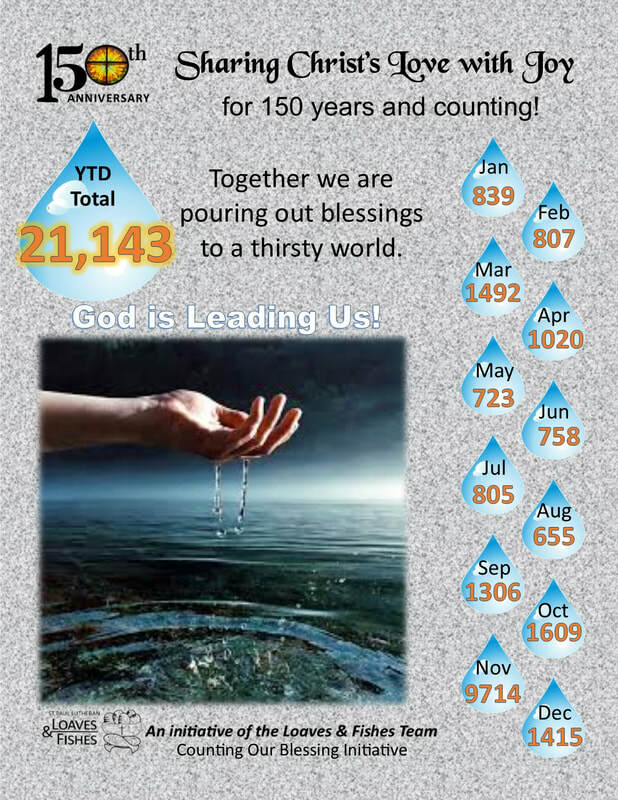 ​In honor of our congregation's 150th Anniversary and to celebrate all that we have done and all we continue to do, the Loaves & Fishes team organized a Counting of our Blessings for 2018. We have been counting all of the folks blessed by our work as members of St. Paul Lutheran Church. We totaled 21,143 people blessed in 2018.